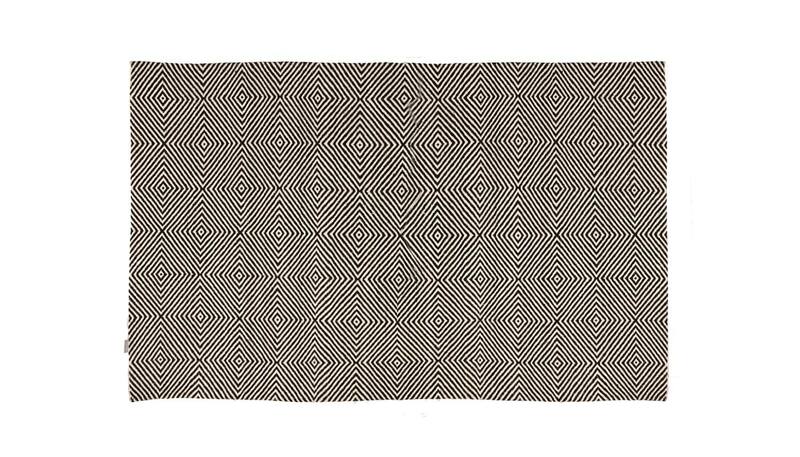 The monochromatic geometric pattern of the Muse has a sharp modern feel offset by its soft woven texture. Handmade in India by master weavers, this pure woollen rug makes an ideal statement piece to fill the floors of both minimal and rustic interiors. Vacuum every other week to prevent dirt and grit filtering into pile. Should spillage occur, act quickly and dab with a clean cloth. Do not rub. Use standard carpet cleaner for tougher stains.